I promise these are the last of the butterflies for a while. ... ok maybe I should not make that promise.. but I will try.. to wait for a little while... I cannot quite seem to get into the Easter bunny making theme yet! I guess it will come to me - or not! I have seen plenty of items for inspiration. This is such a sweet card! 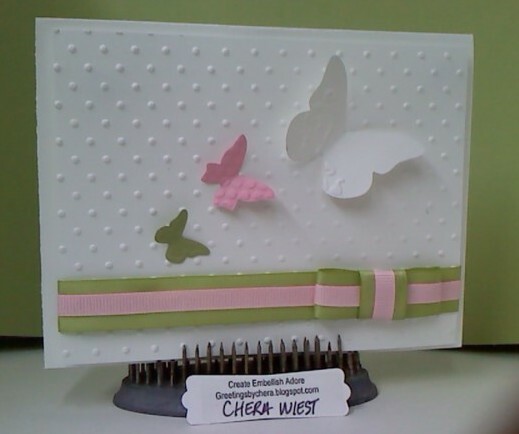 I love the butterflies and the layered ribbon. Thanks for playing along with us at Stampin' Celebration! Both cards are very pretty! 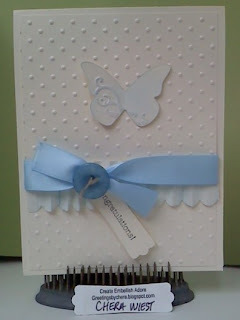 I love the CAS feel and the layered ribbon. Thanks so much for playing along at Stampin' Celebration!